Update: the OPEN Savings program permanently ended May 31, 2018. Any charges from June 1, 2018 will not earn OPEN Savings. Check Amex Offers for potential savings at former participating merchants. This page is archived and no longer updated. One of the least-discussed perks of American Express’ small business credit cards is the OPEN Savings benefit. There are 12 different American Express cards that provide the benefit, so you’ll have plenty of opportunities to take advantage of OPEN Savings. Let’s take a look at the companies that partner with American Express OPEN Savings, the best cards that offer this benefit, and how to get the most out of it. What Is the Amex OPEN Savings Benefit? American Express has partnered with several companies that are useful to small business owners. When you use an American Express card that participates in OPEN Savings, you can earn extra Membership Rewards or receive a discount. If you have a Membership Rewards card, you can choose 2X bonus points per dollar or a 5% discount. Image courtesy of American Express. If you have an Amex Membership Rewards card, you can choose between earning 2X bonus points per dollar spent or a 5% rebate in the form of a statement credit. Once you have chosen your desired benefit, you don’t have to do anything else; qualifying purchases will automatically receive a discount or bonus points. If you have an American Express card that does not earn Membership Rewards, you will receive the 5% discount on your purchases. This is an awesome benefit that isn’t talked about enough! Whether you want to earn extra points so you can book some great award flights or just want to save a few bucks, make sure you utilize this benefit. Hot Tip: Check out the best ways to redeem Membership Rewards for some inspiration! American Express partners with several companies to help business owners save money or earn bonus points. Image courtesy of American Express. American Express OPEN Savings has partnered with 5 companies to provide discounts and bonus points on purchases. As we mentioned above, the discount or bonus points will be applied to your account automatically once you make a qualifying purchase. Let’s discuss the ins and outs of each partner so you can get the most out of your business purchases. 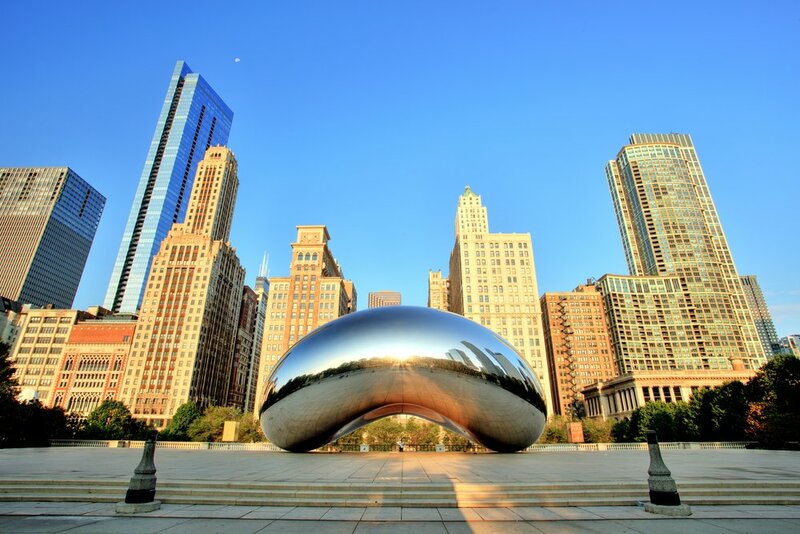 If you’re on the road for work, you can save 5% or earn bonus points on your Hertz rentals. Image courtesy of Bloomberg. 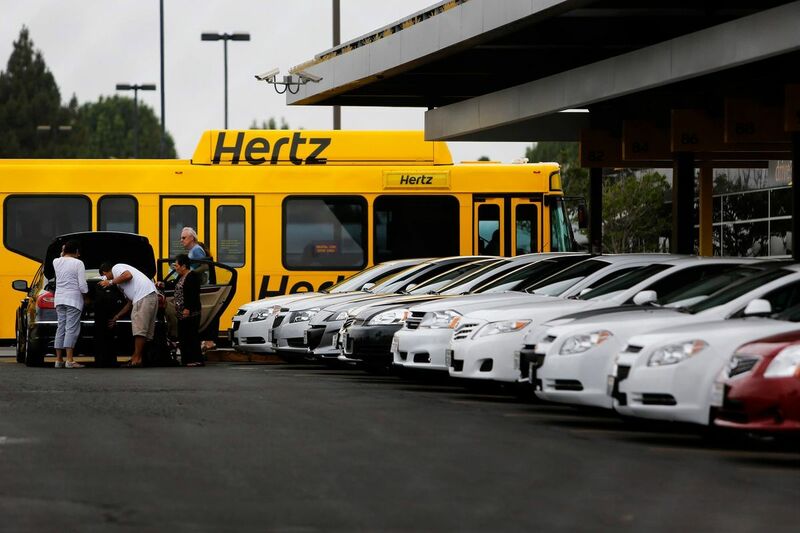 If you use rental cars regularly for business travel, OPEN Savings can be a big boost thanks to the partnership with Hertz. There isn’t a limit to how often you can receive the discount or bonus points, so you can feel free to utilize this benefit without worrying about that. The one thing you need to be aware of is that only some Hertz locations participate in the OPEN Savings program. Specifically, independent licensee-owned locations do not participate in OPEN Savings. That being said, there are still tons of participating locations. If you need laptops or desktop computers for your office, check out HP.com and you can save 5% or earn bonus Membership Rewards. Computer equipment isn’t cheap, so getting the most out of your purchases is tremendously valuable. You are eligible for the discount or bonus points on up to $30,000 in spending per calendar year per card account. Purchases must be made from HP.com rather than in-store or via phone. Additionally, purchases of gift cards are not eligible for the OPEN Savings benefit. FedEx might be the most interesting partner of OPEN Savings as it’s actually 3 separate partnerships in 1. Don’t forget to check out the FedEx Advantage® Program to see how you might be able to get some additional savings. If you use your business credit card from American Express OPEN on qualifying services with either FedEx Express or FedEx Ground, you are eligible for the discount or bonus points on up to $20,000 in spending per year per card account. Keep in mind the $20,000 limit includes all purchases between the 2 services combined. Separate from the FedEx Express and FedEx Ground services is the FedEx Freight service. With your business card from American Express OPEN, you can spend up to $20,000 per calendar year per card account in this category and receive the discount or bonus points. This service includes FedEx Freight® Priority and FedEx Freight® Economy services. The last of the FedEx services is FedEx Office, which also allows you to spend up to $20,000 per calendar year per card account and receive the discount or bonus points. Whether sending gifts to colleagues, employees, friends, or family, you can receive a discount or bonus points on your purchases from 1800Flowers.com. Flowers aren’t the only gifts you can purchase from 1800Flowers.com. You can also purchase gourmet food baskets and plants. The bonus points and discount are not capped at a certain level of spending, unlike a few other partners. Last but not least, American Express has partnered with Barnes & Noble so you can purchase books at a discount or earn bonus Membership Rewards points. There isn’t a limit to the amount of spending you can do with BN.com and receive this benefit, but purchases in-store are not eligible. You must purchase from BN.com. Now that we’ve reviewed each OPEN Savings partner, let’s dive into the best American Express OPEN cards to use to maximize your savings or points-earning. The Business Gold Rewards Card from American Express really shines when it comes to maximizing the OPEN Savings benefit. This card comes with several bonus categories including airfare purchased directly from airlines; U.S. gas stations; U.S. computer hardware, software, and cloud computing purchases from select providers; U.S. shipping purchases; and U.S. advertising purchases in select media. You can choose 1 of these categories to earn 3X points per dollar, and the other 4 will earn 2X points per dollar on up to $100,000 in combined purchases per year. It’s pretty clear how you can maximize your points earnings and savings thanks to this card. If you spend $20,000 with FedEx per calendar year, you can select shipping purchases as your 3X bonus category to earn 60,000 Membership Rewards points. That means you can choose between 60,000 points and a $1,000 statement credit, or 100,000 points. If cutting costs would help your business, take the discount. 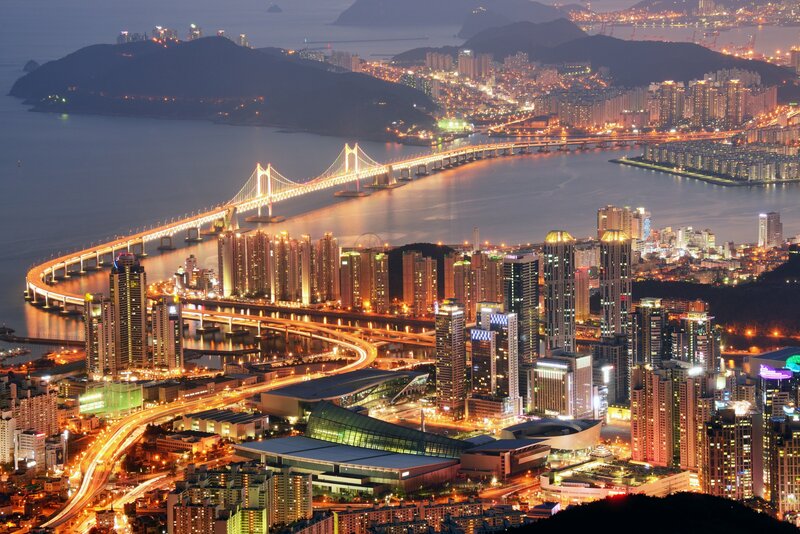 If you could use the points for some amazing travel, take the bonus of 2X points per dollar. You can fly Singapore Airlines Suites class by transferring Membership Rewards to your KrisFlyer account. That’s not the only way in which The Business Gold Rewards Card from American Express really stands out. HP is one of the select merchants for computer hardware, software, and cloud computing purchases that can earn 3X points per dollar if you designate it as your 3X bonus category. If this is the ideal bonus category for you, you could earn 2X bonus points on up to $30,000 in spending from HP.com, which would give you 60,000 points. This is in addition to the 90,000 points you would earn from the 3X bonus category, for a total of 120,000 Membership Rewards. If you choose the discount, you’d earn 90,000 points and a statement credit of $1,500. 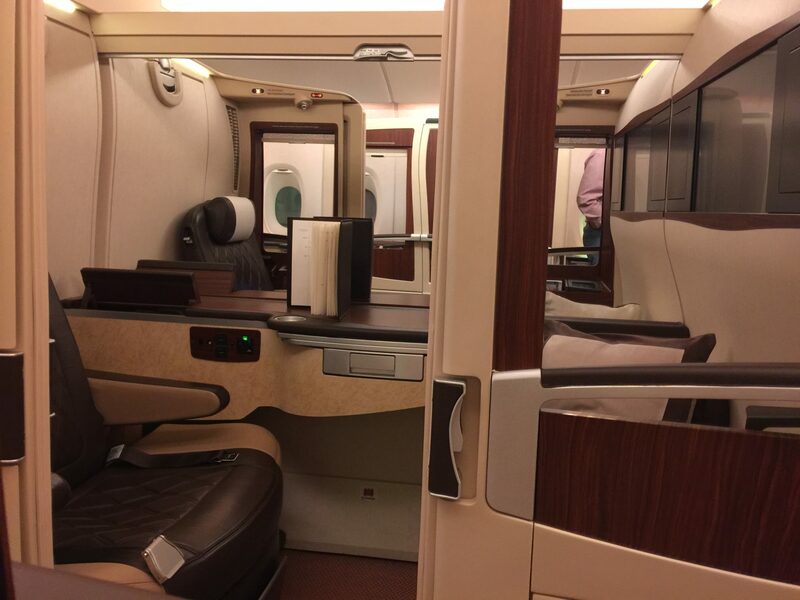 Hot Tip: With 120,000 Membership Rewards, you’d have enough to book Singapore Suites class between New York City (JFK) and Singapore! The Blue Business℠ Plus Credit Card from American Express is another great option when utilizing the OPEN Savings benefit. This card earns 2X points per dollar on all purchases up to $50,000 in spending per calendar year. This means that if you choose to earn bonus points with the OPEN Savings partners, you are guaranteed to earn 4X points per dollar on your purchases up to the $50,000 annual limit on this card (and the specific spending limits attached to some of the partners). If your business spends heavily across the partner companies, you could easily earn 200,000 Membership Rewards points, or 100,000 points plus $2,500 in statement credits. Rounding out our selection of Membership Rewards cards is The Business Platinum® Card from American Express. This card earns 1X points per dollar with the OPEN Savings partners (unless your purchases are at least $5,000, in which case it will earn 1.5X points per dollar). While the earning potential is not quite as great as the previous options, the card comes with a number of perks and benefits. If you are a loyal Delta Air Lines flyer, you can use one of American Express’ co-branded Delta cards, such as the Gold Delta SkyMiles® Business Credit Card from American Express, to earn SkyMiles and receive the 5% discount. You can even earn Medallion Qualification Miles (MQMs) with the Platinum Delta SkyMiles® Business Credit Card from American Express or the Delta Reserve® for Business Credit Card from American Express if you meet certain spend thresholds. Bottom Line: The American Express OPEN Savings benefit can help you earn a ton of extra miles to book your next adventure! 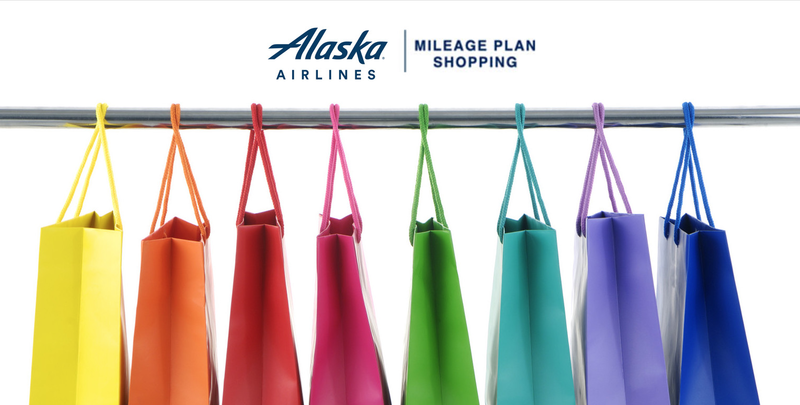 You can earn airline miles—such as Alaska Airlines Mileage Plan miles—through shopping portals on top of your bonus points from American Express. If you really want to get the most out of using your American Express business cards, don’t forget shopping portals. This is a tremendously easy way to earn extra miles with your preferred airline—whether it’s Alaska Airlines, American Airlines, or another carrier. All you have to do is start with the shopping portal of your choice, click through to the desired merchant, and shop as usual. Hertz, HP.com, FedEx Office, 1800Flowers.com, and BN.com are often listed on a number of airline shopping portals, so you should have plenty of opportunities to boost your earnings. 1800Flowers.com often runs great bonuses with airline shopping portals that can help you earn tons of bonus miles. You might even see some promotional offers that earn over 20X miles per dollar! It’s clear that the American Express OPEN Savings benefit is a fantastic perk for cardholders. It provides you the choice between saving 5% on some big business expenses or earning a bonus of 2X points per dollar. When you pair this with an American Express card such as The Business Gold Rewards Card from American Express OPEN and use an airline shopping portal, you will start seeing your miles and points balances increase rapidly. 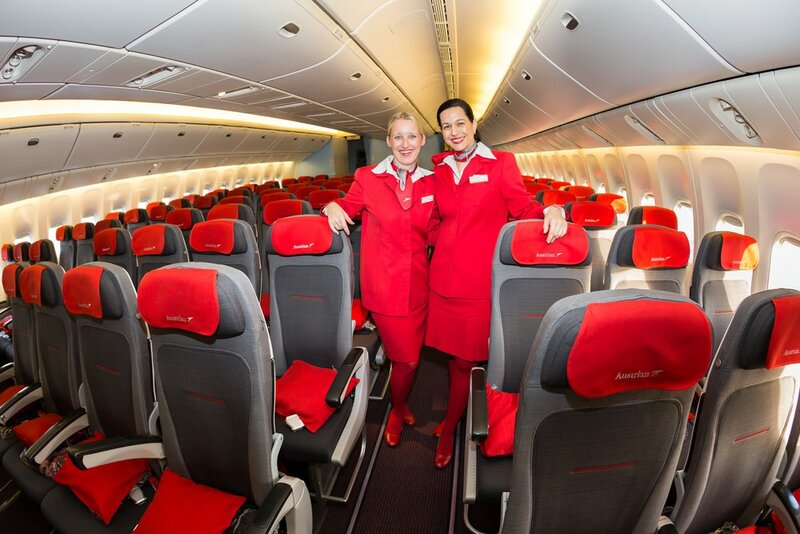 Before you know it, you’ll be booking your next amazing award flight! Does Hyatt participate in OPEN Savings? Hyatt previously participated in the program but is not currently a partner of OPEN Savings.